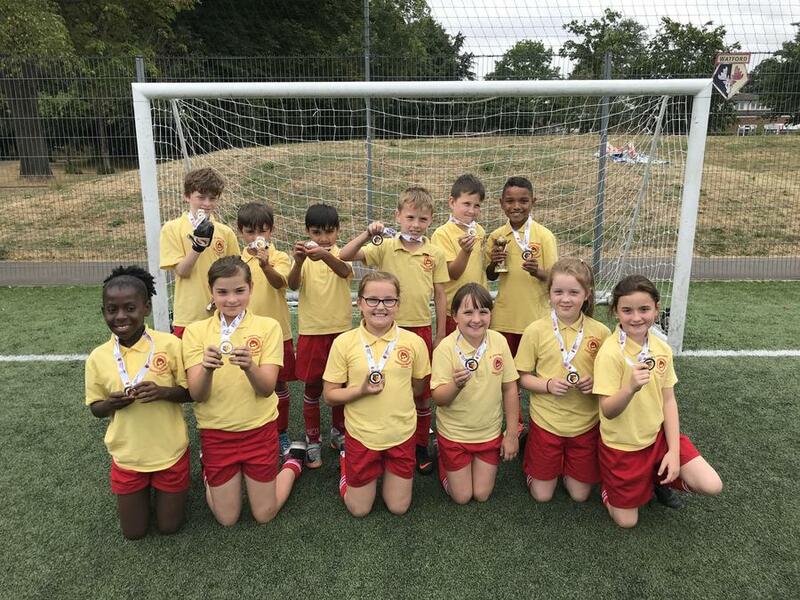 On Tuesday 10th July 2018, 12 pupils from Year 3 and 4 took part in a five-a-side football tournament at Watford Cedars Youth and Community Centre in Harrow Weald. Both the boys’ and the girls’ teams played with great skill and enthusiasm and they finished second in their respective leagues. Well done to: Adrian Grywalski, Aidan Doherty-Comyn, Aaditya Sequeira, Matthew Evans, Curtis Mitchell, Fabio Fugaccia, Olivia Cummings, Katie Walsh, Niamh Connarty, Aoife McCarthy, Anne-Marie Nakiganda and Kate Gurhy and a special well done to Curtis Mitchell who received a reward for his excellent displays throughout the morning. Thank you to all the parents who came to support the pupils.